A wall mount is included or you can use any VESA compatible mount for mobile and free-standing configuration. You can use the SMART 84" capture board to collaborate with others in a simple but powerful way. 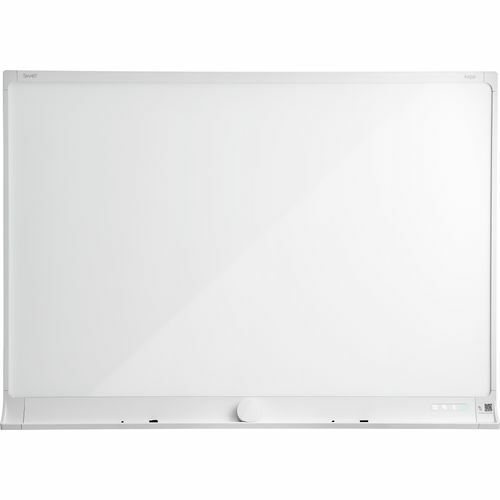 Write and draw on the capture board as you would on a regular dry erase board. You can then connect a Bluetooth enabled mobile device to the capture board by scanning a Quick Response (QR) code or by tapping the Near Field Communication (NFC) tag. When you connect your mobile device for the first time, you are directed to the Apple App Store or Google Play store to download the SMART Kapp app. After you download and install the app, you can use it to connect to your capture board and share content with others.